Rick Genovese crafted this drop point Hunter. 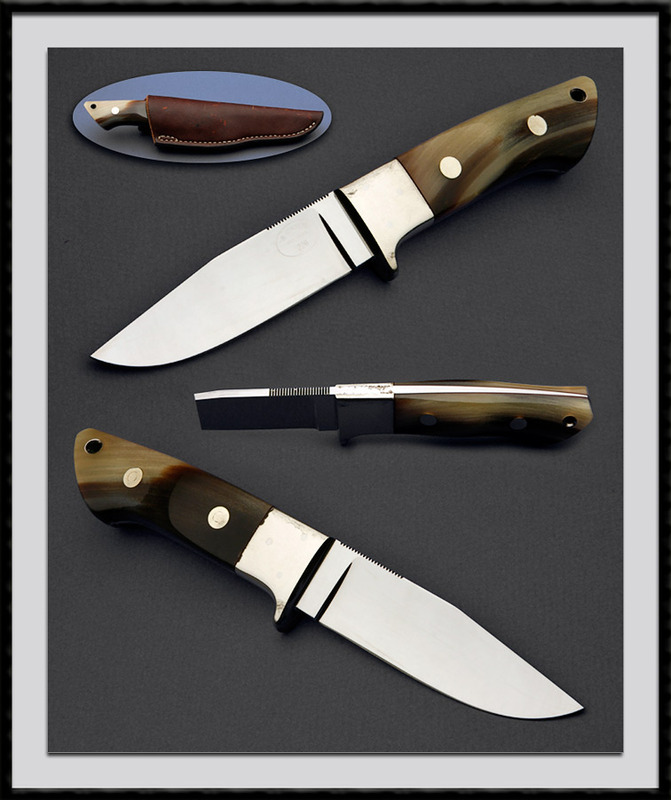 154-CM blade steel, BL = 4 1/8", OAL = 8 3/4", Tapered full tang, Nickel silver bolsters & bolts with Big horn Sheep scales. Condition is as you see it with some wear/oxidation on the bolsters. This knife was made 05/05/1980. Comes with the Leather pouch pictured.